We love our Pathfinder. It has plenty of room. Very comfortable to ride in. You can use both rows of seating in the back or stow and go them to transport large purchases such as groceries or other items. The performance of the vehicle is fairly good although we are having mechanical troubles at the moment. Problems with the tires alignment as well as problems with the cooling system. Other than those issues, we are in love with our vehicle. A nice vehicle for someone who’s interested in buying it. I honestly love the car, but after a while I started having some problems with turning it on. I eventually got it fixed! This car can last a long time believe me, and it is a pretty nice size for a family of eight! The car is pretty comfortable, and well it is gets me to where I need to be so I am not complaining!! Love it. 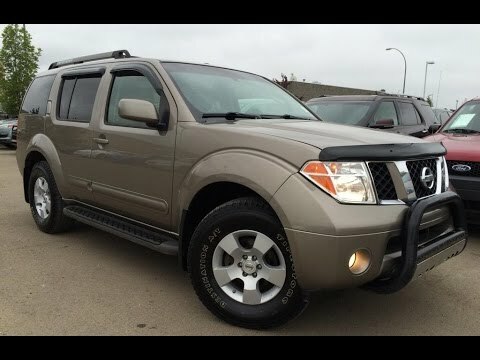 Nissan pathfinder is a very nice, reliable vehicle. I actually really enjoy my pathfinder. It had 4x4, seats 7-8, has a lot of room, luggage racks, and can tow/haul up to 6000 lbs. I work in retail sales during the day and sometimes in my spare time I do construction. So I am able to have a ladder on top and some tools and things in the back with no problem.